There has never been a time when sustainable travel has been more important than now. As tourism records are broken worldwide, the age of mass tourism and mass exploration is upon us and that means that creating and booking sustainable experiences are of the utmost importance. There are many locations around the world that are overrun with visitors and they can't handle the overwhelming amount of people that they receive on a daily basis. But many tour operators are making an effort to keep experiences sustainable and, not only that, but to ensure that these adventures give back to the communities in which they operate. With Gondwana Ecotours, 10 percent of the price that visitors pay for their tour goes to a nonprofit organization that teaches urban women skills to earn a living and improve their quality of life. Aspire Rwanda hand selects hard-working women to participate in a 12-month training program in Gisozi. The center provides complimentary childcare for the women that includes preschool curriculum and nutritional meals for kids, giving women the chance for uninterrupted learning. They develop literacy, numeracy, learn to manage their finances and receive education on women’s rights, health and nutrition and more. Upon completion of the program, women join a coop in which they support themselves and their future endeavors to create a self-sustaining peaceful community. 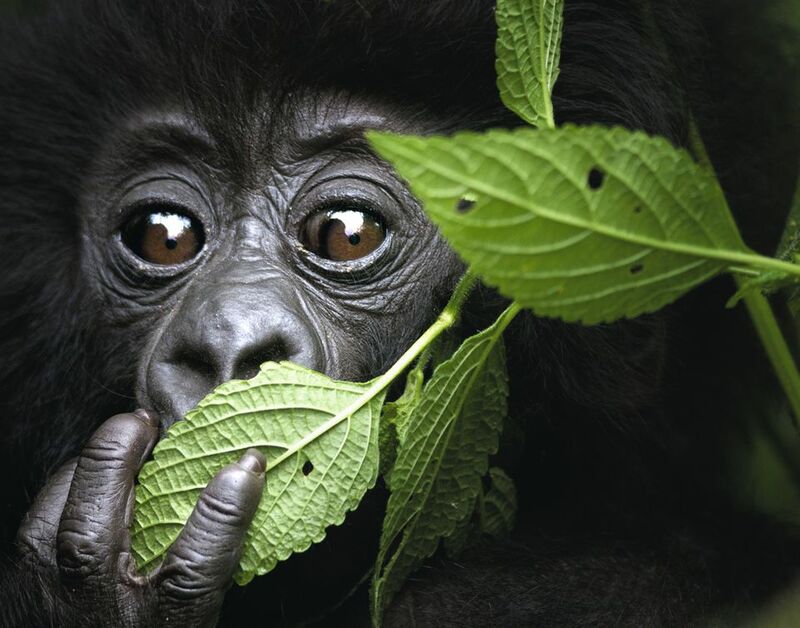 In August and December of this year, the tour operator is offering the Highlights of Rwanda Ecotour. The clear highlight of the journey is the gorilla trekking. Visitors head into the Virunga Mountains to observe some of the last remaining mountain gorillas in the world. Guests will also track chimpanzee and golden monkeys with a conservationist; boat on Lake Kivu, one of the African Great Lakes; visit nearby hot springs; and take guided hikes through Nyungwe Forest National Park, located in the southwestern part of the country in the watershed between the basin of the Congo River and the Nile River. The park is relatively new, created in 2005 and is home to a variety of primate species. Visitors also explore the city of Kigali, which is the capital of Rwanda. It is considered one of Africa’s cleanest and safest urban areas in the country and is the economic and cultural hub of the country. Part of that culture is the Rwandan Genocide and guests travel to the Kigali Genocide Memorial, which honors the approximately 250,000 people who were buried here in mass graves. Tours of the memorial take guests through the powerful memorial and includes information on the divisive colonial experience and the progress the country has made. Other activities along the journey include traditional dancing, visits to local communities, banana wine-making and more. The trip includes lodging for all eight nights, the trip leader and guides, all meals (except on the first and last day), all treks and tours, national park entrance fees as well as the Conservationist Gorilla Tracker permit (a $750 fee), cultural activities and the 10 percent donation to Aspire Rwanda. The company also contributes to carbon offsets for its guests’ flights. Gondwana Ecotours offers sustainable, eco-friendly tours around the world. Their destinations include the Amazon Rainforest, tours to Machu Picchu, Alaska, Tanzania and more. They are members of the International Ecotourism Society as well as a Green America certified business.